It’s no secret that lush, green, open spaces, whether a backyard or expansive parkland, have a calming effect on our bodies. We can feel stress dissipate and our heart rates settle down. In fact, the benefits of an outdoor environment are many and varied. If you have a backyard, no matter how small, do yourself a favor and add greenery wherever you can. Your efforts will pay you back even more if you plan to put your home on the market, since a well-developed backyard gives a big boost to its value. Researchers found that children’s stress levels fall within minutes of seeing green spaces. They also found that schoolchildren who had more exposure to the outdoors performed better on cognitive testing. The effect was greatest when both home and school environments provided “green” time. Living landscapes help you heal. Hospital patients exposed to window views of nature healed on average a full day faster than those with a view of a brick wall. Playing in dirt is good for you! Mycobacterium vaccae in soil mirrors the effect on neurons that drugs like Prozac provide. The bacterium stimulates serotonin production, which makes you relaxed and happier. Research has shown that turfgrasses remove atmospheric pollutants such as carbon dioxide, ozone, hydrogen fluoride, and perosyzacetyle nitrate from the air. Grass also helps capture dust, smoke particles, and other pollutants. Walking or running in nature, rather than a concrete-oriented, urban environment, resulted in decreased anxiety, rumination, and negative affect and produced cognitive benefits and increased working memory performance. Never mind that grass can be 31 degrees cooler than asphalt and 20 degrees cooler than bare soil thanks to a process called evapotranspiration. 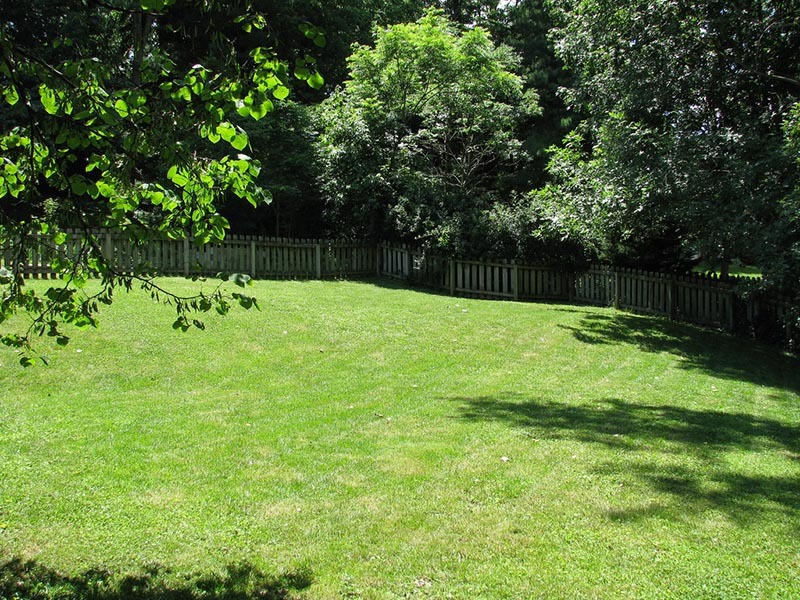 Your lawn is a massive oxygen generator: 50 square feet of lawn produces enough oxygen each day for a family of four. And grasses remove about six tons of carbon dioxide per acre per year from the atmosphere. Grass, trees, shrubs, and other plant life provide food and habitat for birds and small mammals. Insects, spiders, and worms live among the grass blades and below the surface in the turf.